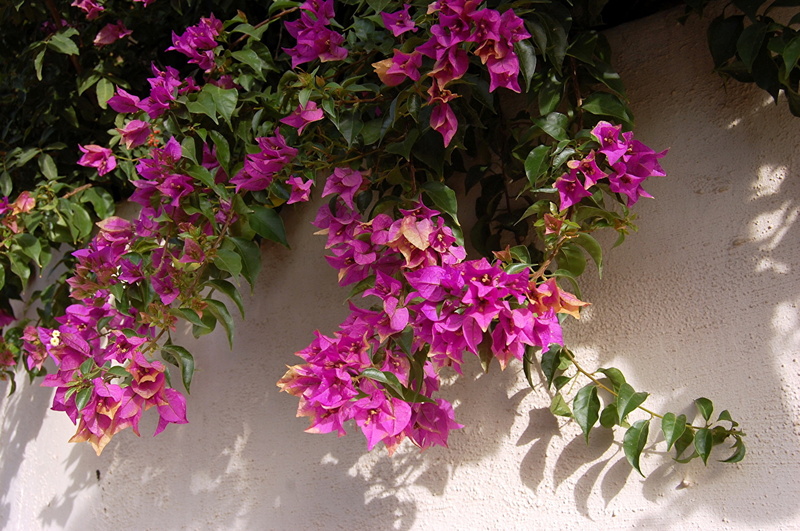 Our hotel, named for the hibiscus flower, is beautifully landscaped with tropical flowers and fruit trees. Enjoy our gardens with this guide! Hibiscus flower, called papo in Panamá. 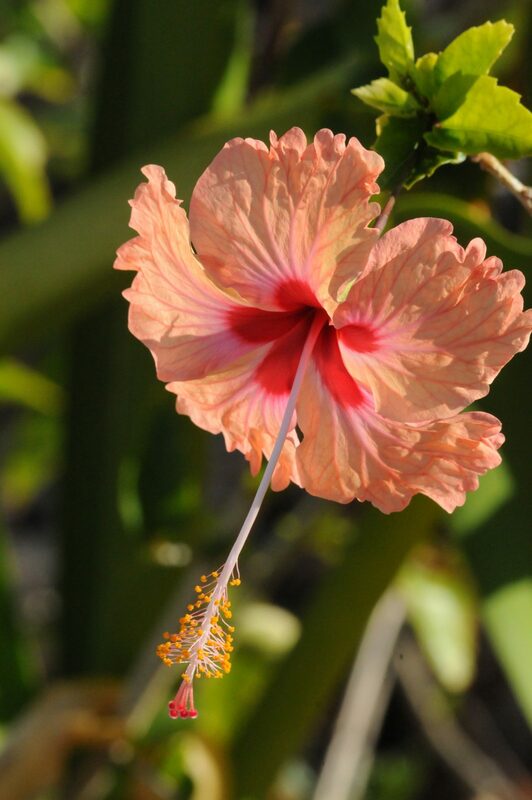 We have many hibiscus flowers in a variety of colors. Coconuts are an incredible source of nutrition. 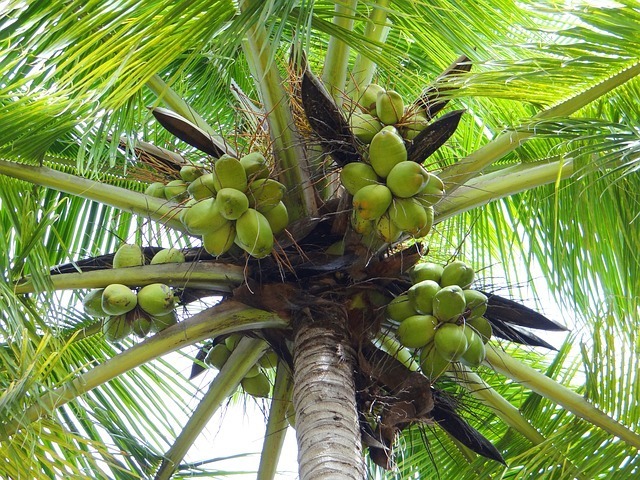 We have planted over 100 Coconut Palms and our food forest continues to grow! Rose Apple, also known as pomarosa, originates in Asia and now grows all over the world in tropical areas. Our tree produces lots of these sweet fragrant fruits. 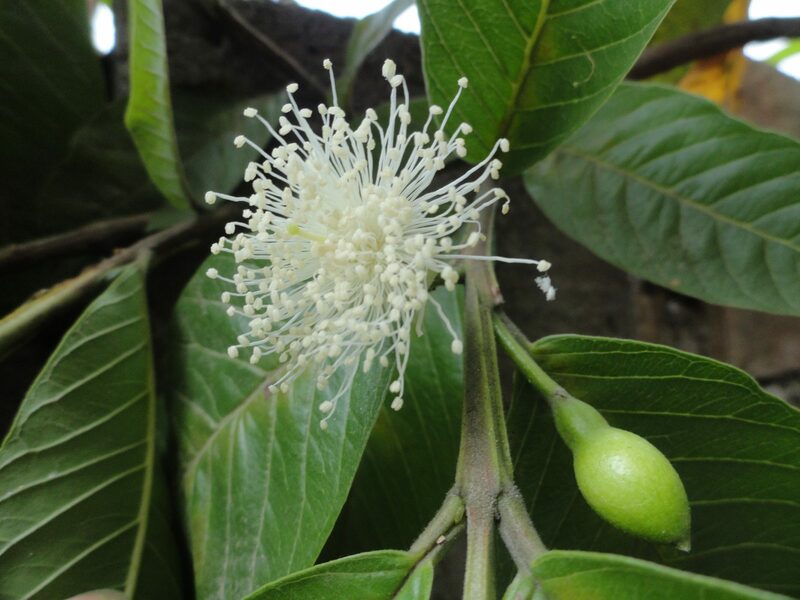 In Central America, this fruiting tree is known as Jocote or Ciruela. 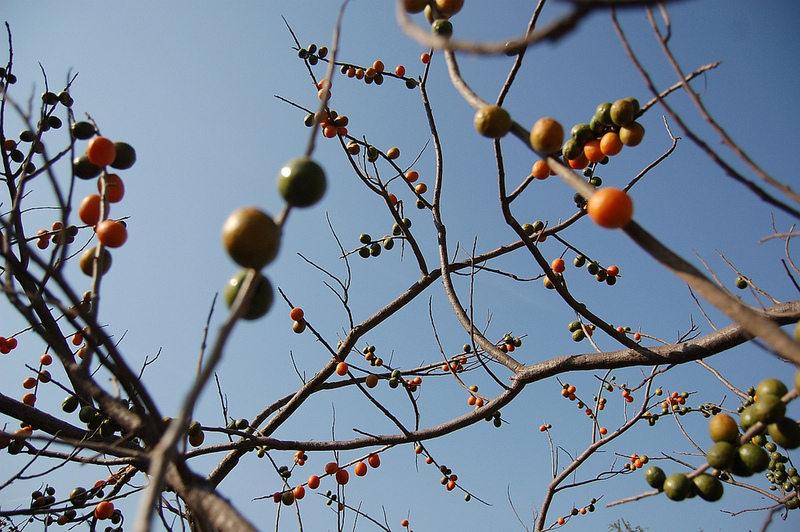 The fruit has a hard pit like an olive or plum and tangy flesh that ripens in December and January. We have planted lots of pineapples in our gardens as well. Simply cut the top off a ripe pineapple and plant it! 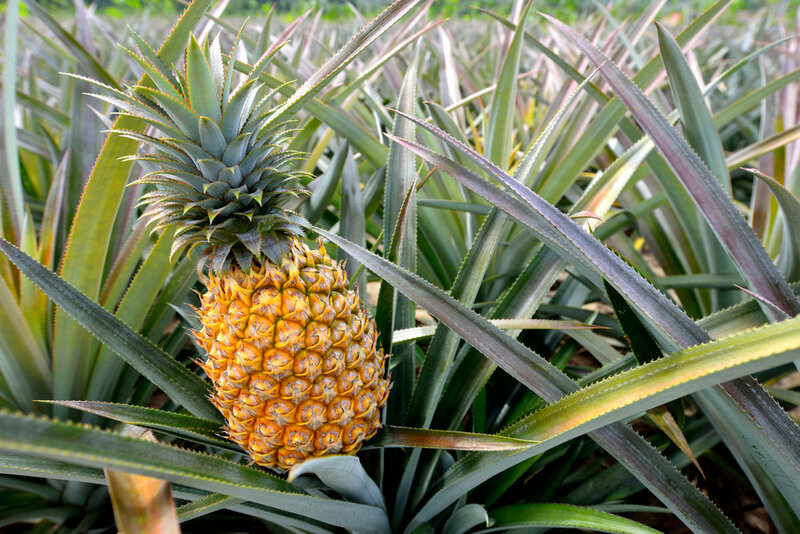 Pineapples take about 1-2 years to produce fruit. 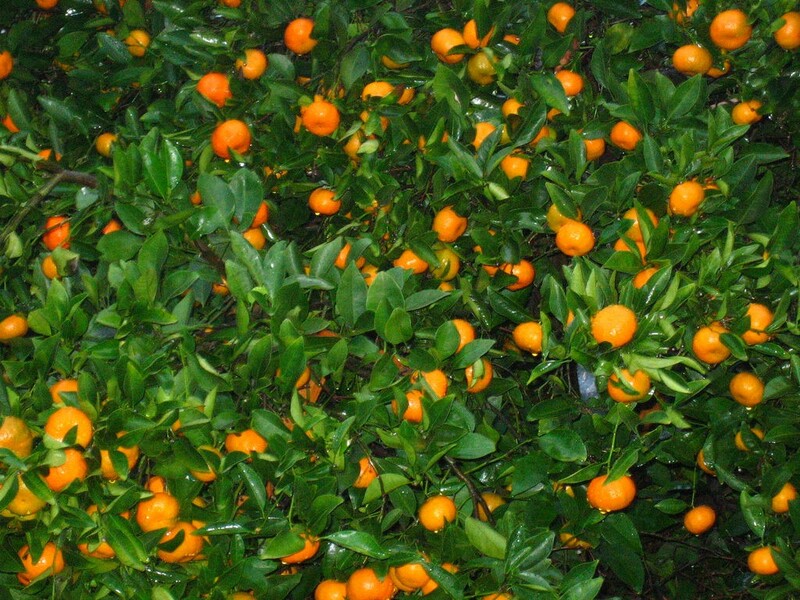 Enjoy a sweet, tangy Mandarin from our garden in January and February. Before they ripen, we like to use them just like limes to make a delicious margarita or squeeze into a glass of water on a hot afternoon. 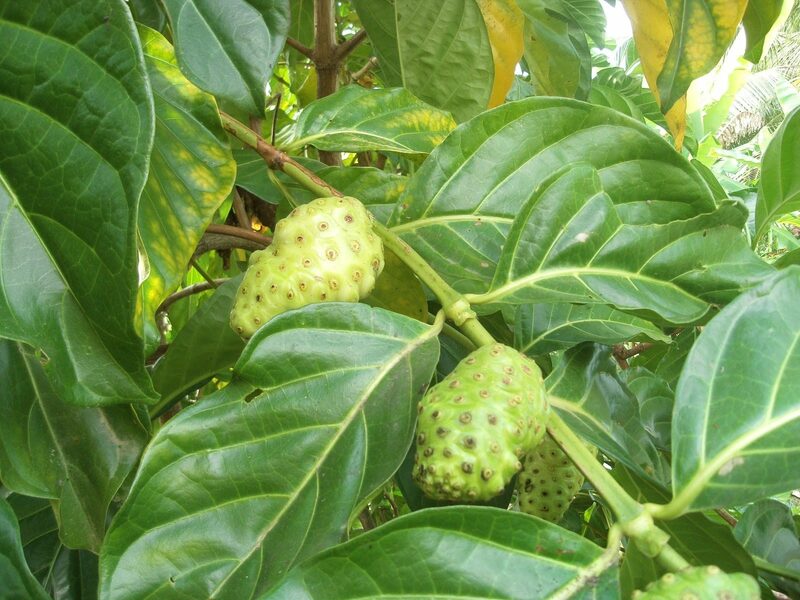 Studies have shown that Noni fruit can be a great supplement for good health. 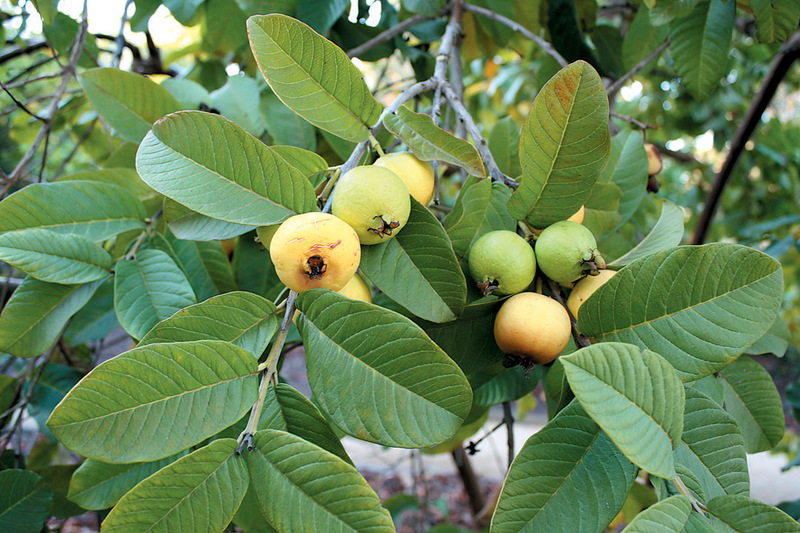 But beware, this fruit has a smell and taste that can really turn your stomach. If you’re brave enough, mix Noni fruit with pineapples and bananas in a smoothie to hide the taste while still getting the benefits. Our tree produces dozens of fruits. 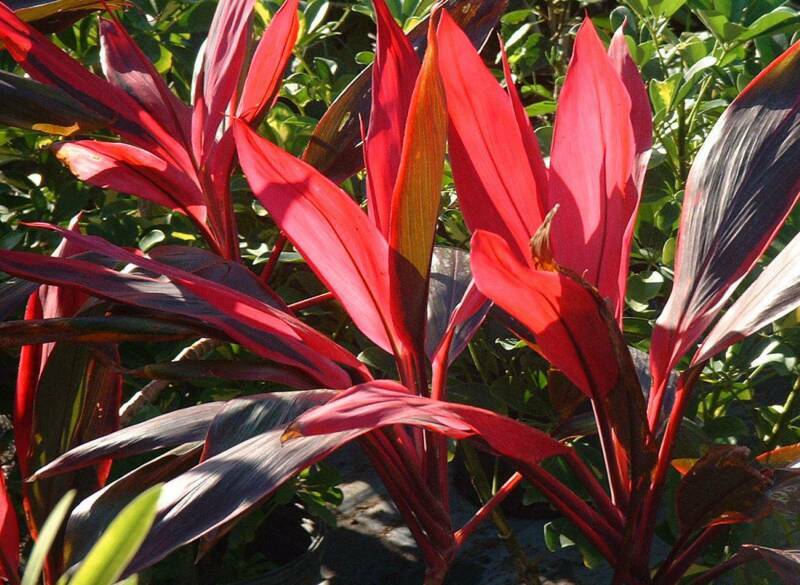 The beautiful red Ti plant is a common topiary here in Panama. The red leaves offer colorful contrast to our lush green gardens. 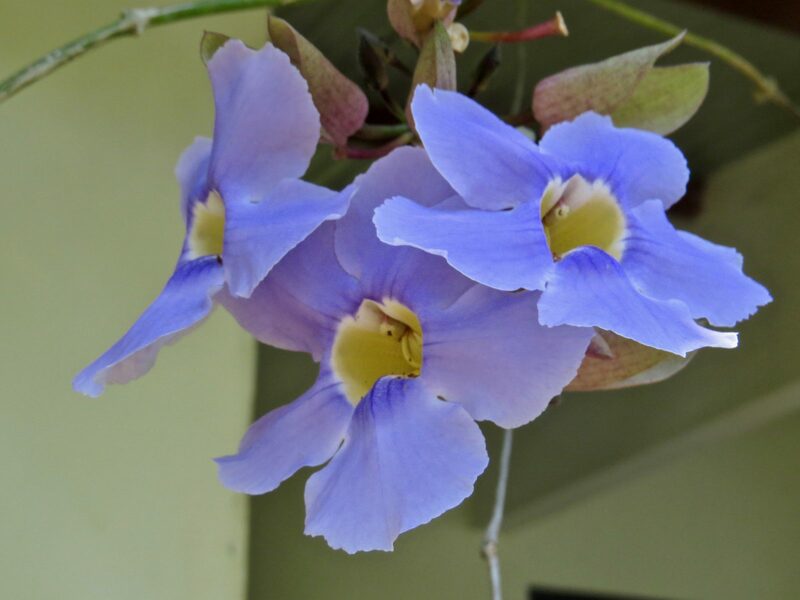 This Blue Trumpet Vine, also known as Blue Skyflower, grows outside our Garden View guest rooms. Its beautiful blooms last just a day before falling to the ground.